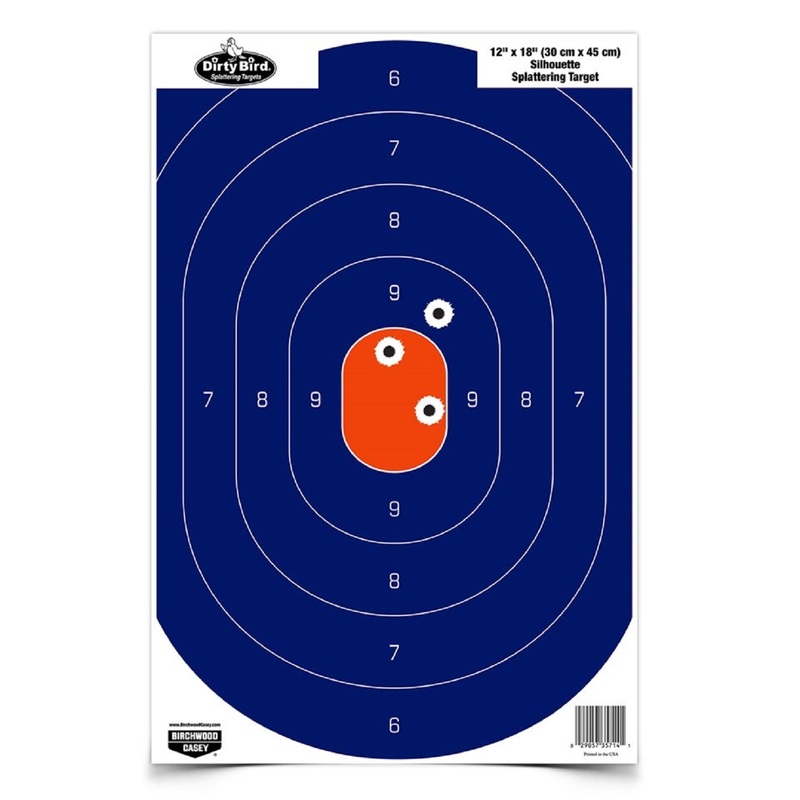 The 12" x 18" Blue/Orange Silhouette Targets "splatter" white upon bullet impact making for fast and easy hand and eye coordination. Being able to see your shot immediately reduces down time from training and lets you put more bullets downrange in less time. 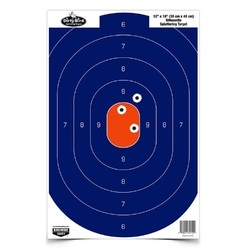 These targets are great for all types of pistol-action shooting. Available in economical, bulk packages. Great for indoor or outdoor use.